Posted on Saturday, April 18th, 2009 at 7:39 pm. 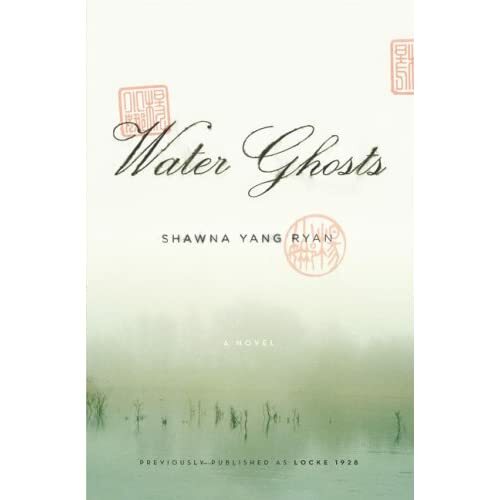 TaiwaneseAmerican.org is excited to share an exclusive personal interview with Taiwanese American author Shawna Yang Ryan whose new novel, Water Ghosts, hit mainstream bookstores starting April 16th, 2009. We caught up with her just after the book release and just before she embarks on a multi-stop reading tour at several bookstores around the west coast! She has been actively supporting the Taiwanese American community in and around the San Francisco Bay area (including this very website!) and has been making appearances at Taiwanese American camps and conferences in the past year. We’re quite proud to have this opportunity to delve further into her work and personal story. H: Hi Shawna. Thanks for taking the time to chat with us today! We’re happy to see that your new book has just been released in bookstores nationwide! H: Tell us what Water Ghosts is about? SR: Water Ghosts is about a Chinese bachelor town in central California in the 1920s. The main character, Richard, has not seen his wife, who is in China, for ten years. He has pretty much given up on the idea of seeing her, and has started an affair with a white prostitute who works in the town. However, one day his wife appears and he is forced to reconcile his past in China and his present in America.And did I mention there are water ghosts?…. H: Ghosts! Wooo… scary! And what inspired you to write this, your debut novel? SR: I was inspired by the true story of the town of Locke, which is the only all-Chinese built and inhabited town in America. In the 1920s, men outnumbered women 20:1, and most of the women in the town were white prostitutes. I was interested in looking at all the lives that were affected by America’s immigration policies. H: How did your novel get picked up by Penguin Press? SR: It was a long and magical process. The book was first published by a small press in Berkeley, El Leon Literary Arts. About half a year after it came out, it received a really nice review from a blog read by publishing-industry folk. After reading the review, an agent contacted me, I signed with him, and he sold the book to Penguin. I had tried for years to get an agent, and to have one email me out of the seeming blue one day was one of the biggest shocks of my life! 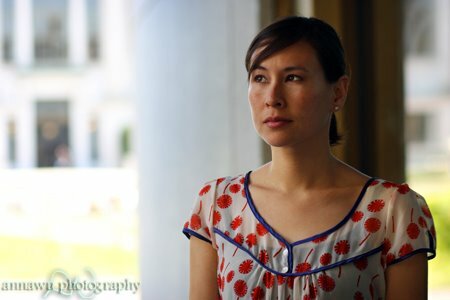 H: You are a hapa, or mixed-race, Taiwanese American. I’m sure many folks out there are curious about your background. Tell us a little bit about who you are. SR: My dad was an Air Force brat—born in Berlin and grew up all over Europe and America. When he was 18, his family was living in Germany. He couldn’t afford a flight back to the US, so he enlisted. He ended up fixing C-130s in Taiwan during the Vietnam War, where he met my mom. H: That’s really quite interesting. Even today, many in our community haven’t thought about the increasing number of mixed race Taiwanese Americans among our new 3rd generation. SR: Yes. I think it can be hard for people to wrap their minds around the mixed race identity, but I feel thoroughly an integration of multiple cultures. Rice with ketchup. I remember eating rice with ketchup when I was a kid, and I think it’s an apt metaphor. H: Indeed! So, how did you get into writing as a career? SR: I’m hesitant to describe it as a career yet! But I have always wanted to write books since I was a little kid. That’s how I’d amuse myself after school. So I found ways to get me down the path. I did a Master’s in Creative Writing at UC Davis, and though many critics of creative writing programs argue that you can’t “learn” how to write, you can learn discipline, how to be a better reader, and how to develop your critical eye. You also meet other writers, and that, it turns out, can also be immensely useful in pursuing writing. Of course, the most important thing is to not give up! It took my book five years from completion to its first incarnation as a paperback from El Leon Literary Arts. And it’s been nine years from the time I started it until now, when it comes out in hardback from Penguin. I was pretty stubborn about seeing it into print. H: That is definitely a long journey, but I’m so happy to see how far it has taken you. Where do you find inspiration and motivation? SR: I think I’m particularly interested in stories of people who are forced into difficult decisions—the kinds of decisions that we look at now and think: Why would they ever do that? For example, one character I’m working on in my current novel is a young kamikaze pilot—I found that during World War II, some Japanese pilots took off from Taiwan—and I’m trying to understand what his mindset, in the context of his time and culture, would have been—hopefully without falling into stereotypes or political jargon. I’m excited by challenging our received notions of how the world works and I’m motivated to create something real, authentic, in these fictional depictions. H: What challenges do you think authors and writers face today? And are there any specific challenges that you have positioning yourself as an Asian American writer, or one who is interested in writing stories pertaining to the Asian American experience? SR: Well, one challenge is that people keep proclaiming fiction dead. The internet also poses as a pretty hearty competitor for our reading time. 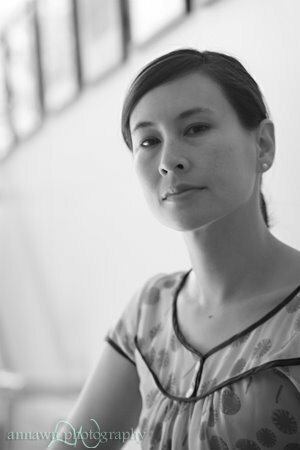 As far as positioning myself as an Asian American writer…I think the ground has been broken by the generation before me, and the challenges that were once there are now gone. Honestly, it has seemed to be a pretty level field so far for writers of color. Knock on wood. H: Knock on wood! I am so rooting for minority authors out there. Their stories need to be told. So, what kind of advice do you offer aspiring young writers out there, no matter what their ethnicity or background? SR: This is oft-repeated advice, but the very best thing you can do is write! To not just dream about it, but to sit down and do it as often as you can. And though being serious about your writing is important, it’s just as important to your writing to experience as much life as possible because somehow and someday, all of it ends up being useful. H: You’ve spent a significant amount in Taiwan, I hear. What was your experience like there? SR: This is where my comment about experiencing life really comes to bear. Like I mentioned, I’m currently working on a novel about Taiwan. Though I initially thought it would be about one subject, I’m finding more and more that I’m drawing on all the random experiences I had during my four years in Taiwan, adventures that I had no idea would ever somehow come into story. In addition to teaching, researching and studying Mandarin, I was lucky enough to have the time and opportunity to travel around and go anywhere people wanted to take me. I tried to open myself up to everything: with my cousins, I had a chance to spend some time on a military base; I spent one lunar new year in a tiny town in central Taiwan with the woman who cut my hair; as a teacher, I glimpsed into lots of different families and homes. I participated in protests; I prayed in famous temples. I even met the president! H: So, tell us more about this new novel you’re currently working hard on. What can you share without giving too much away? SR: The novel is an attempt to make some narrative sense of the chaos of Taiwan’s history. It’s told through a number of characters—including some that are not human. It was the only way I found to manage the multiple voices and versions of what Taiwan is. H: Random question: Your favorite Taiwanese food? SR: Stinky tofu. Really! Near my aunt’s house in Taichung, there’s a guy who sets up a little stand and a couple of tables near an empty stairwell next to the train tracks. Stinky tofu, pickled cabbage and hot sauce—yum! H: Or not so yummy. Haha. Depends who you talk to… but for sure, we here at TaiwaneseAmerican.org appreciate what stinky tofu means to our culture! Anyways, Shawna, thanks for spending time with our audience today. We’re excited about your novel hitting the mainstream markets, and we wish you much success! 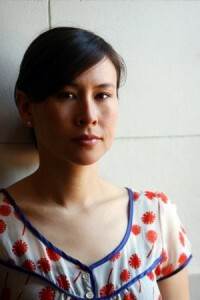 Visit Shawna Yang Ryan’s website. Order Water Ghosts from Amazon or go find it at your local bookstore! Meet Shawna on her West Coast book tour. Visit Shawna’s blog (check out the right column) for latest tour dates. Ho Chie interviewed Shawna when both were at the ITASA Midwest Conference at the University of Illinois, Urbana-Champaign, presenting as speakers for the conference. Anna Wu provided the images for this post from her exclusive photo shoot with Shawna. Check out more of Anna’s shoot with Shawna at annawu.com. This isn’t the first collaboration between Ho Chie, Shawna, and Anna! Check out the previous spotlight on director Ang Lee. And read Shawna’s spotlight article on identity.